Both asking your closest friends to be a part of your wedding party and accepting the proposal from a friend when it’s their turn in the hot seat is really exciting. When I am in a wedding party I get really pumped with ideas, projects, hearing all about the details, how it happened and just generally being excited for my friend. The flip-side of this is the financial commitment that comes along with accepting the position. As a bridesmaid or maid of honour, there are tasks you have to fulfil, dresses, jewellery and shoes you have to buy, parties you have to financial contribute to and trips you have to make out for celebrations. These things all seem small but can very quickly and easily add up. It’s always good to keep this in mind when accepting the role and let your friend know of a financial situation if there is one, as quickly as possible. This will be a big help to them and let them know that you’re not just skipping out on things, rather you are unable to attend or may need a different dress due to this. According to a TD survey released this past summer, one in five people attending weddings this year say they are not well prepared for the associated costs and expect them to be a considerable drain on their household budget. As a bride, I am really trying hard to ensure I make being a bridesmaid the easiest process for my wedding party. 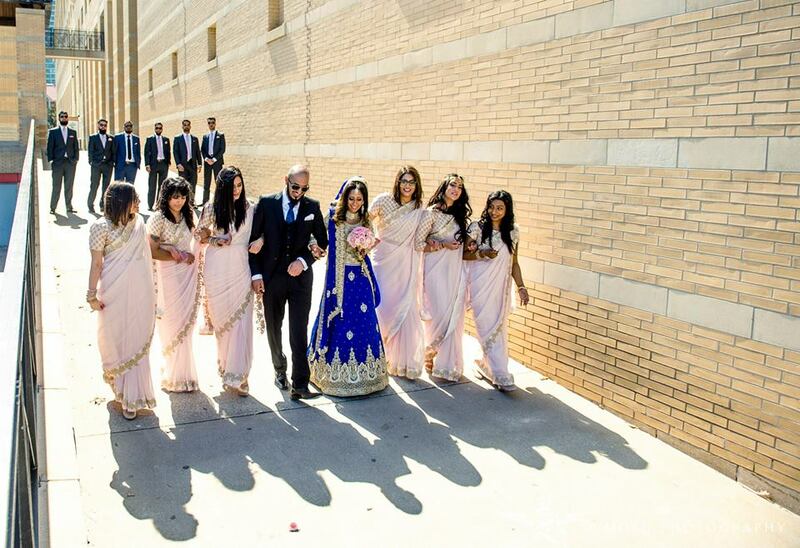 I made sure to consult them on a cost for their dresses and got the wedding clothes made while shopping in Pakistan. This was a pretty great way to get the best bang for their buck and also help hem spread out the spending. The dresses were ready by the first week of November and I took half the amount of their budget before I left so that I could put that towards the purchase and also have them spend money gradually. This way, although they will end up spending the same amount of money they would have done in the past for other weddings, they are able to spread it across a span of a few months to help alleviate the costs that can funnel down from weddings. Have any advice to share when it comes to spending while in a wedding party? I would love to hear it! Alternately, I would love to hear some horror stories you ay have had during your time in a wedding party! 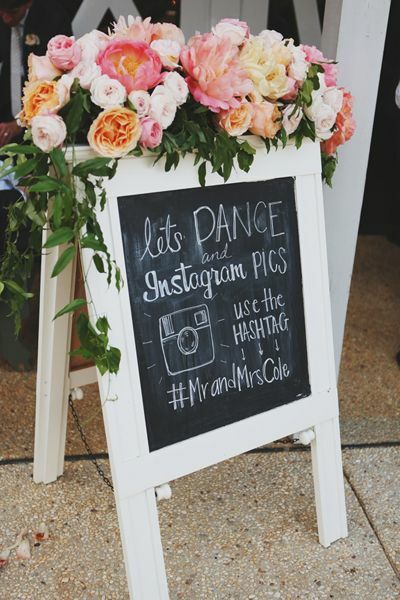 With social media playing such a big role in everyone’s life, its inevitable to sneak it’s way into every event in your wedding. Now I think there are two types of people when it comes to social media and hashtags for a wedding. First, there are people who don’t care or prefer nothing to even be online and there is nothing wrong with that, but I fall in the other category – I want everyone to share away! As a professional communicator who works within the social media realm, I know I will have my wedding online and on social media because that’s just what I do! 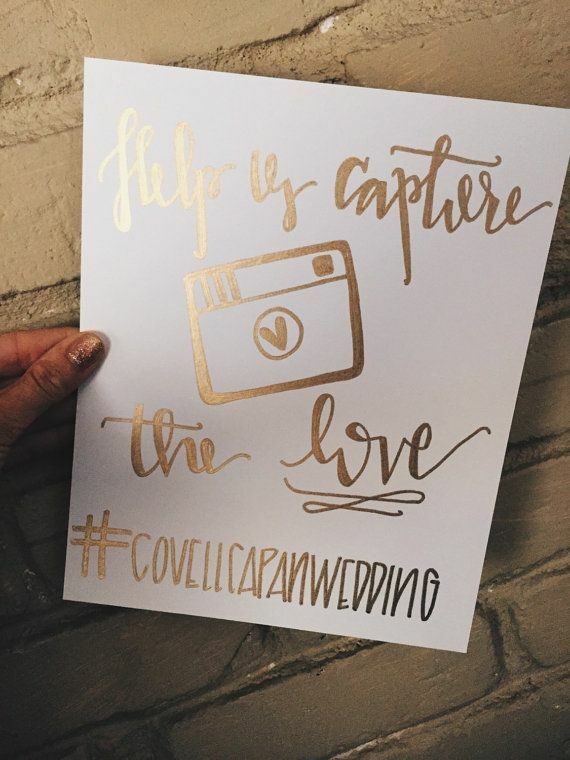 I have already created a hashtag, shared it with my friends at our engagement party with signage, tacked it along all my social media plans related to my wedding and will also have it on signage at the wedding reception and on my wedding invitations. 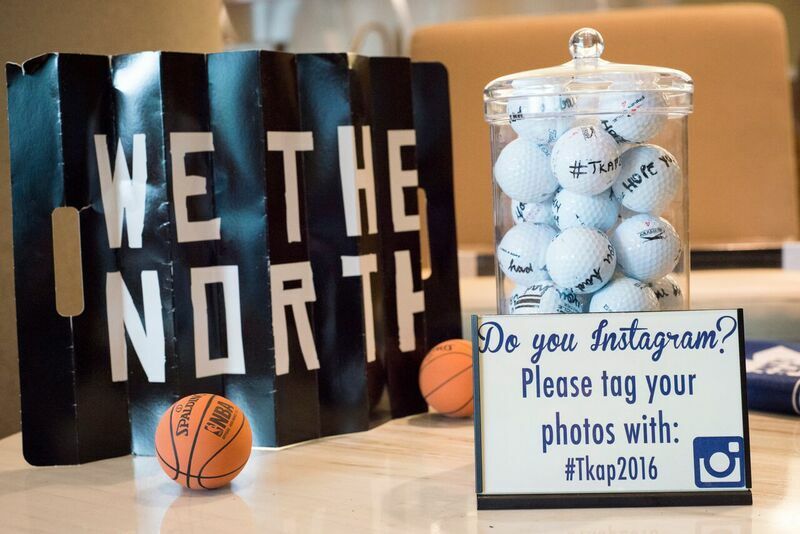 I have also downloaded the WedPics app and created a profile under the same hashtag (#TKap2016). The app is great – it lets your guests upload all their photos from the wedding so that the couple can download them all for their own memories. It also means it will not flood their own social media platforms with every single photo. A friend of mine had used this app this past summer and created a game for her guests to make sure they took photos of specific things during the event including photos of the bride speaking with her mom, photos with her bridesmaids, a photo of the couple laughing etc. 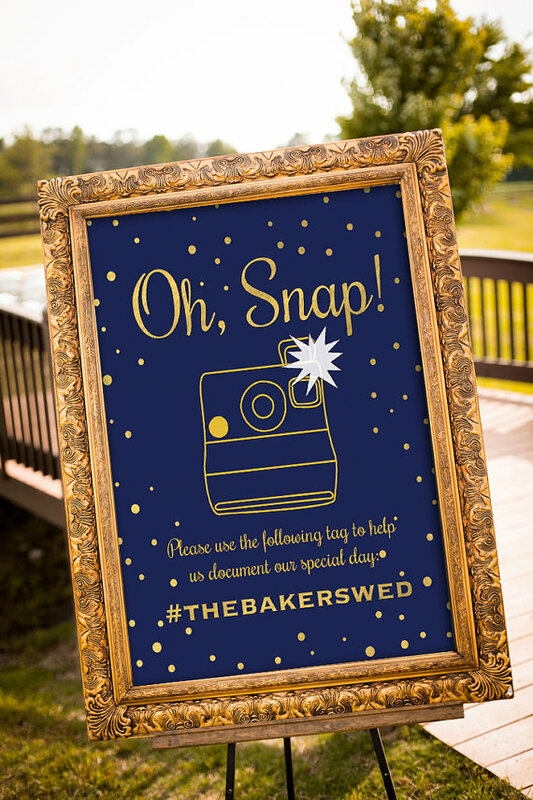 This made it easy to get the guests to get onboard with actually uploading photos that the couple could cherish from their wedding day, from their point of view while also giving the guests something fun to do. 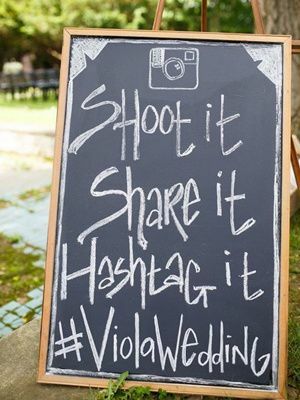 I also love the idea of having creative signage with he hashtag displayed. They can be on menu cards, wedding invitations, chalkboards etc. I’ve shared a photo of the sign I made and browsed Pinterest to share some of the ones I liked best. I am back with another! 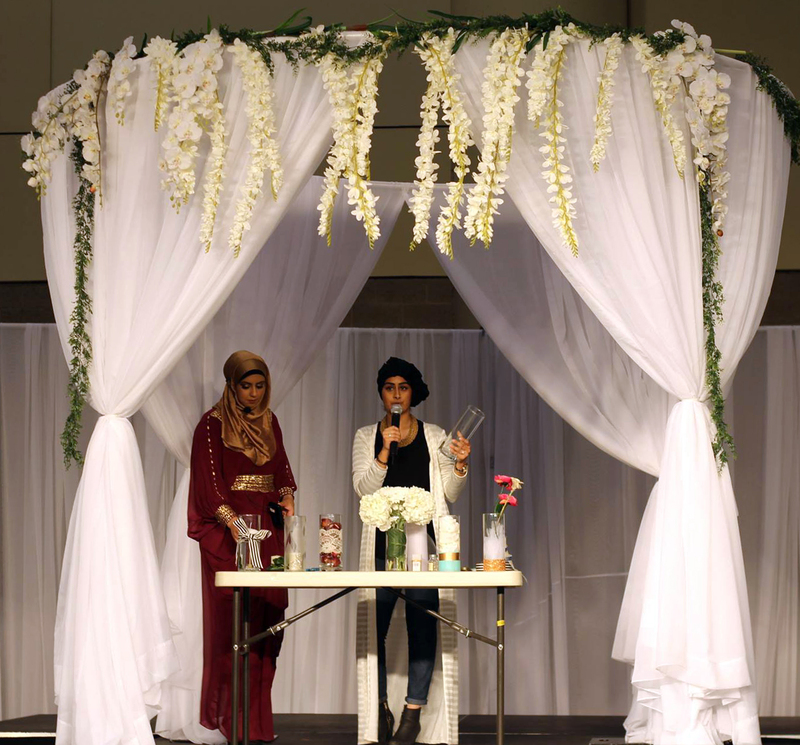 A few weeks ago, I took the main stage at the Nikah Convention to share some fun ways to spruce up a regular old cylinder vase. I decided to make five versions of the same vase for the show but ended up with six! 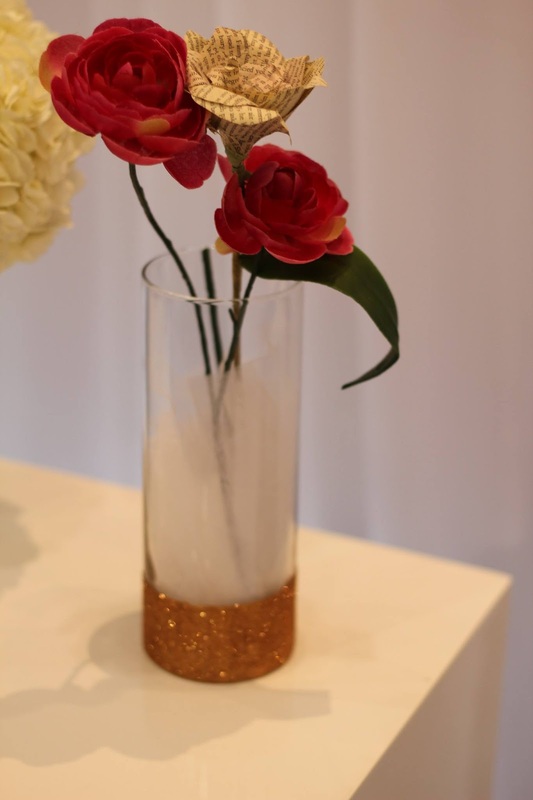 These are some fun and easy ways to get creative and make dollar store vases look more expensive. 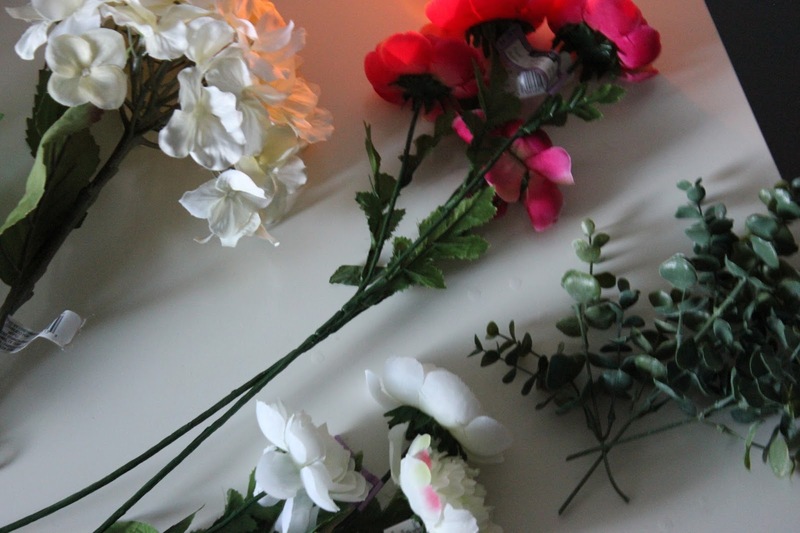 You can use these for showers or even wedding centrepieces for cheap. All it takes is some creativity and a few extra materials that will go a long way. 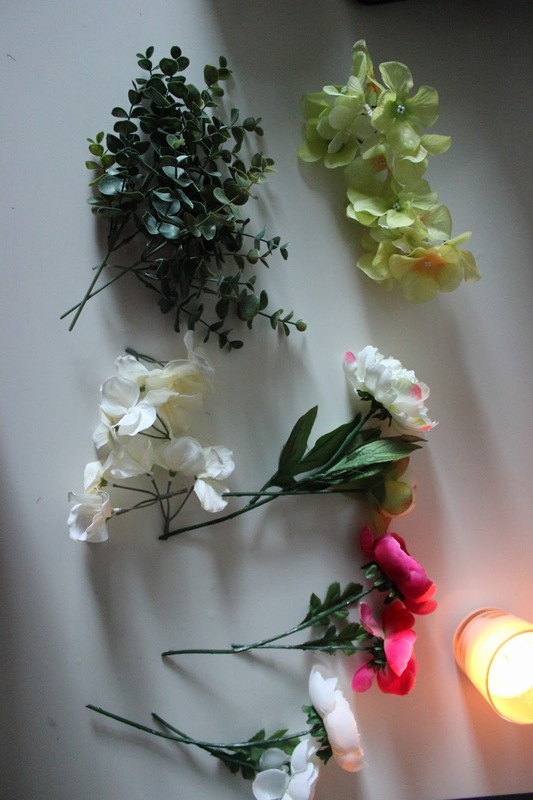 Take a look at the photos below for some fun ideas. 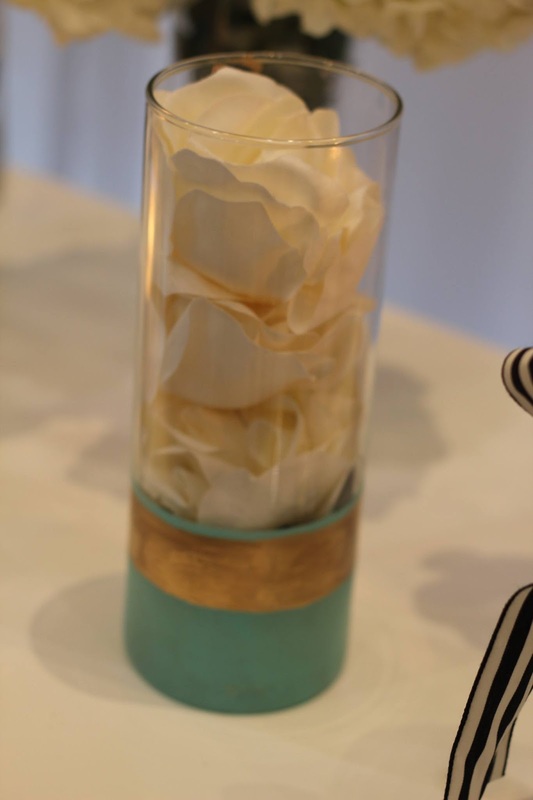 I have added photos, instructions and materials needed for each kind of DIY vase at the end of the post. Let me know what you think and pin away to keep them handy for your next event! Get more great ideas for DIY projects on my Pinterest boards. Follow me on Instagram for more fun DIY projects and on Facebook to stay in the loop! Glittered Romance. This is a very romantic vase. I simply used some Mod Podge and fine glitter from Michael’s along with a cut piece of tulle to put this look together. 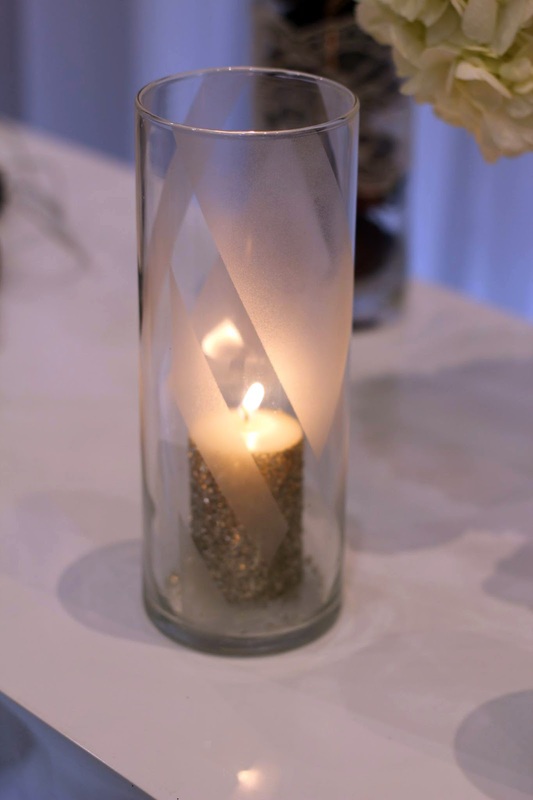 I used a small dome light or faux candle and topped it with the tulle for a soft effect. You can also use battery operated string lights. This vase is filled with faux ranunculus (left over flowers from the floral crown DIY) and a paper flower made from an old book. Au Natural.This is a very easy, simple and natural look. 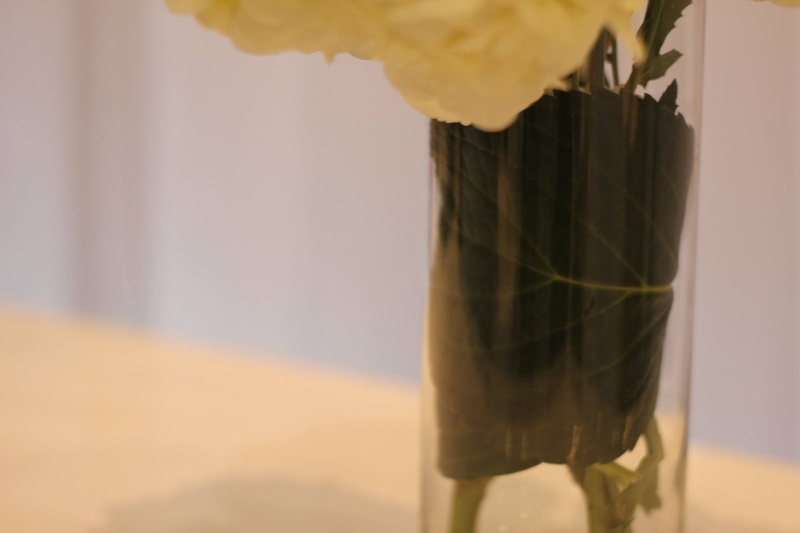 If you are in a cinch, simply use the leaves (the bigger, the better) from the flowers you will be using, to line the inside of the vase up until you reach the water line. Do not let the water touch it or else the leaves will get soggy and change the colour of the water. 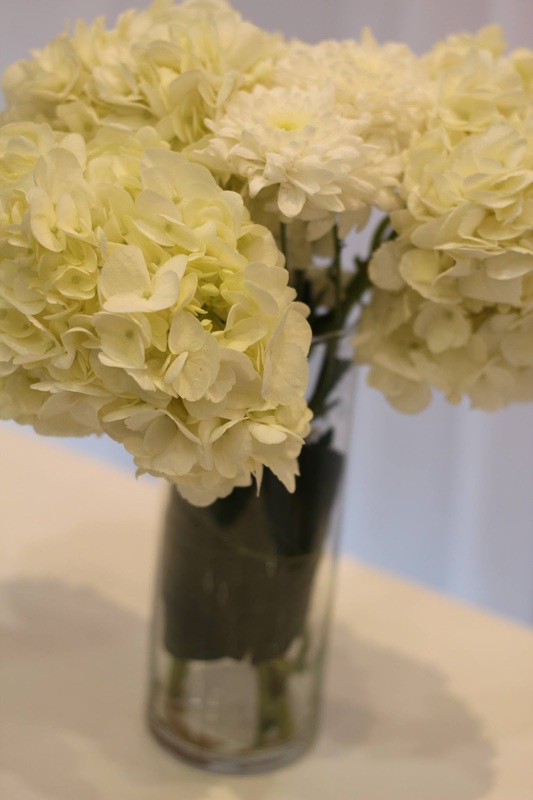 I filled the vase with hydrangea and white carnations all from the local grocery store. Romantic. 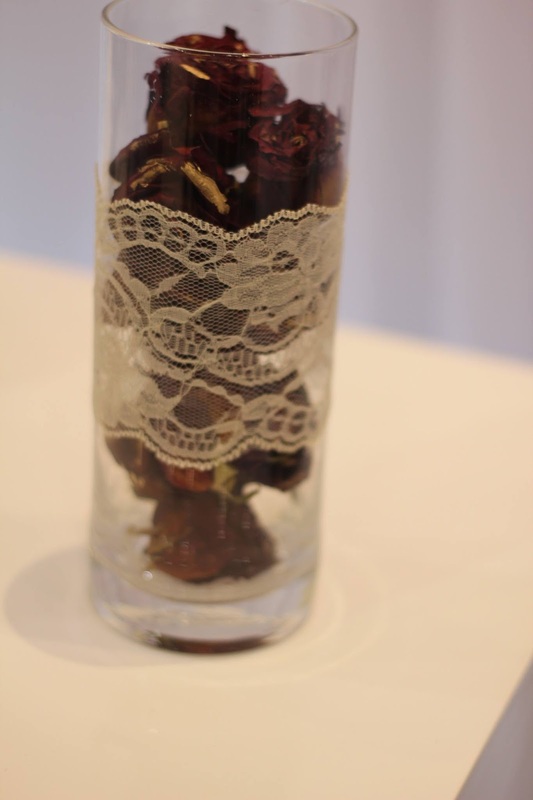 This vase was featured earlier on my blog as a quick DIY of what to do with dried flowers. All I did for this one was add a bit of lace around the middle and stuck it on the vase with glue dots. The roses had already been dry so I just used a little of the gold foil paint to line the petals and give it a little dimension. Glam. 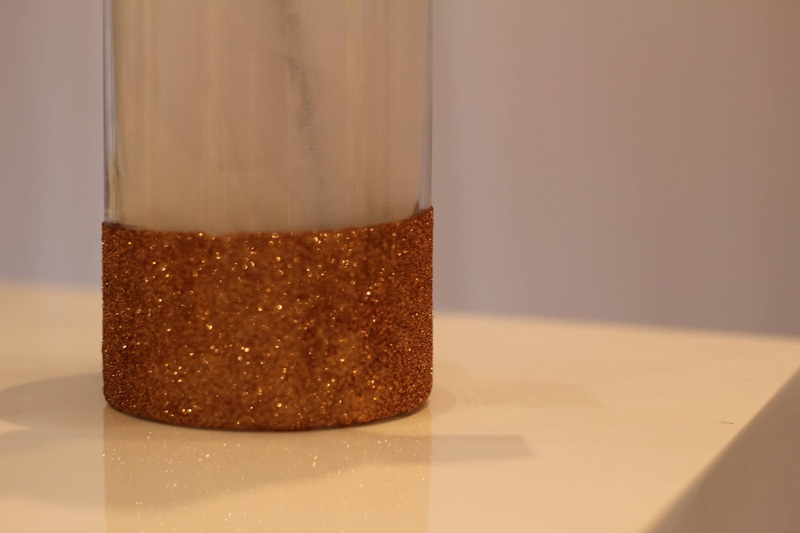 This vase is very chic and give a very high-end look. 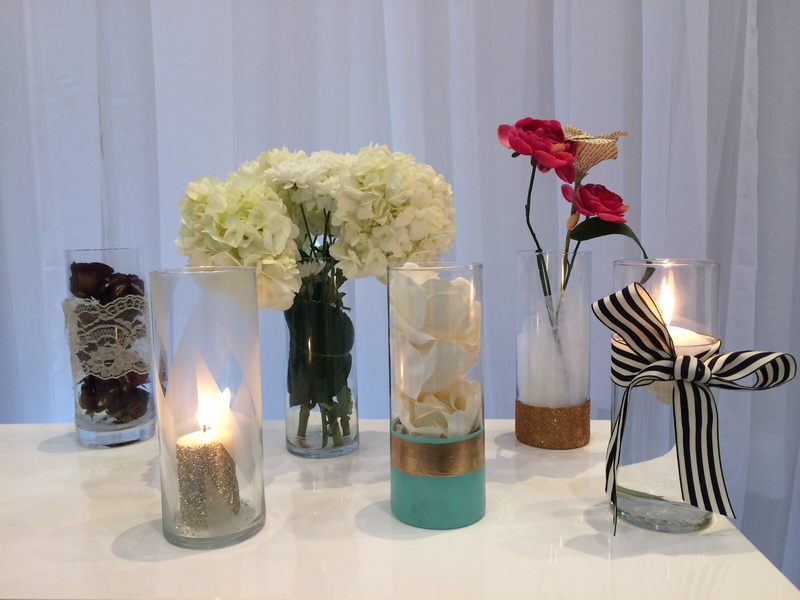 The candle inside was purchased from the dollar store was glittered with silver glass glitter and Mod Podge. The vase itsself was taped off with painter’s tape and sprayed (outdoors) with frost spray paint. I made sure to fill the inside of the vase with newspaper so the spray would not go inside. Follow the instructions on the can and do about 2-3 coats. Let it dry for at least ten minutes before peeling away the tape. The types of designs you can do are endless. Simply Chic. This last vase is my quick, go-to. I always have a neutral ribbon on hand for last minute gift-wrapping, decor or DIY projects. Black and white stripes area always in style, so it’s great to have some on hand. 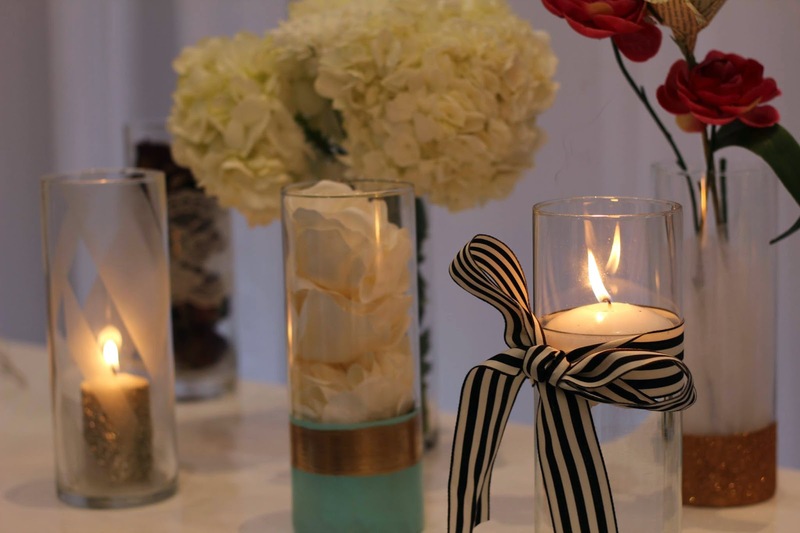 Candles are also very easy and can change the atmosphere in almost any room. 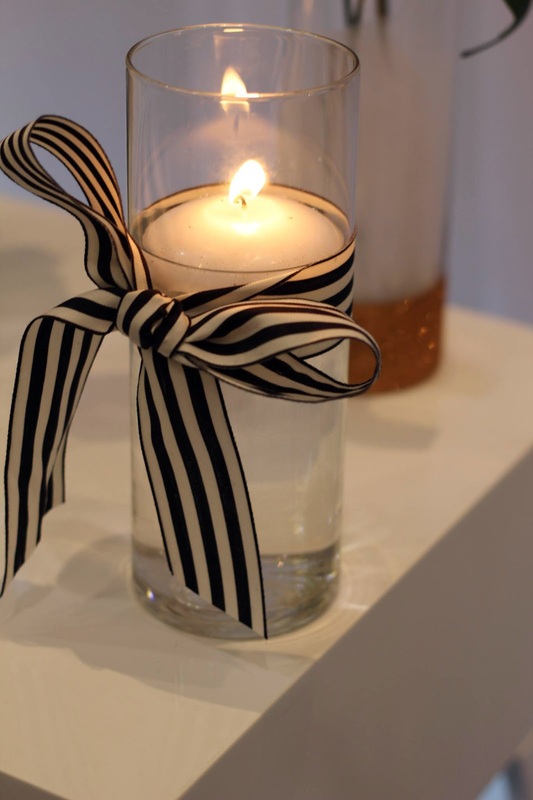 With this simple look of a floating candle and a black and white ribbon, no one could guess it was a last minute add on! With one project done, another begins. I completed (& got to use!) 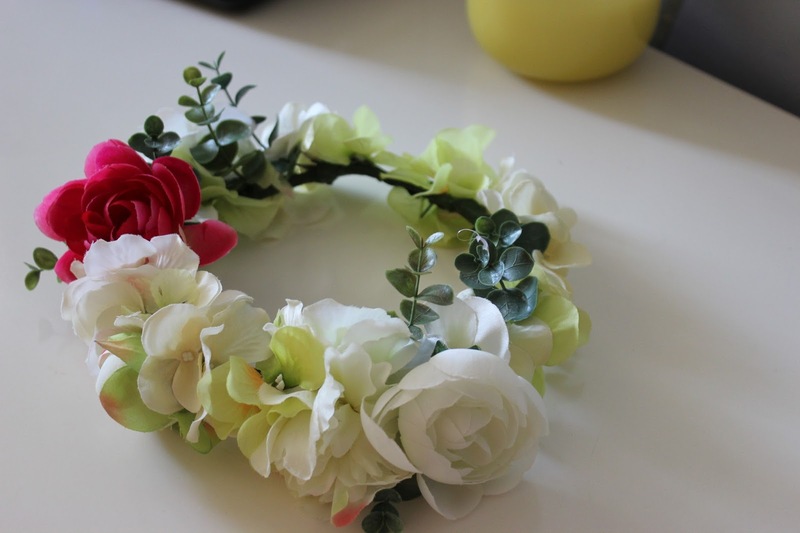 my floral crown and I couldn’t be happier with how it turned out. 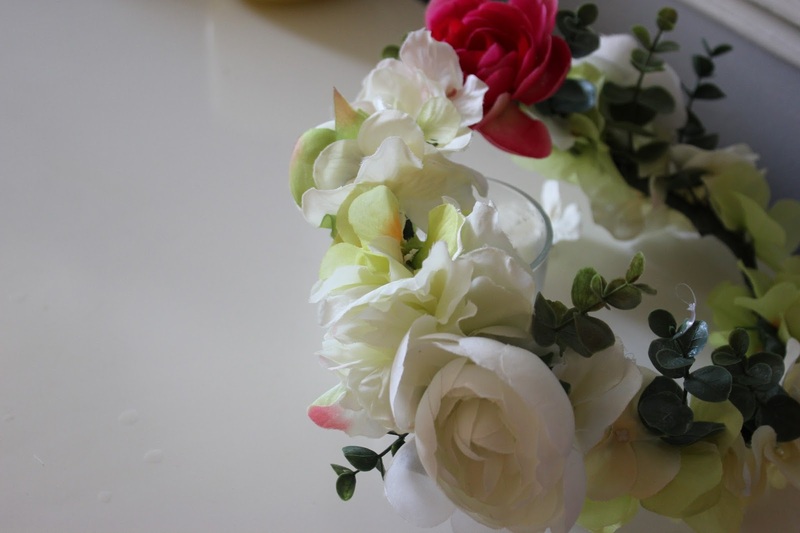 It was much easier than I thought and todayI am sharing how to make a floral crown with fake flowers below! I used flowers from Micheals and few smaller ones from the dollar store as fillers for any small gaps. 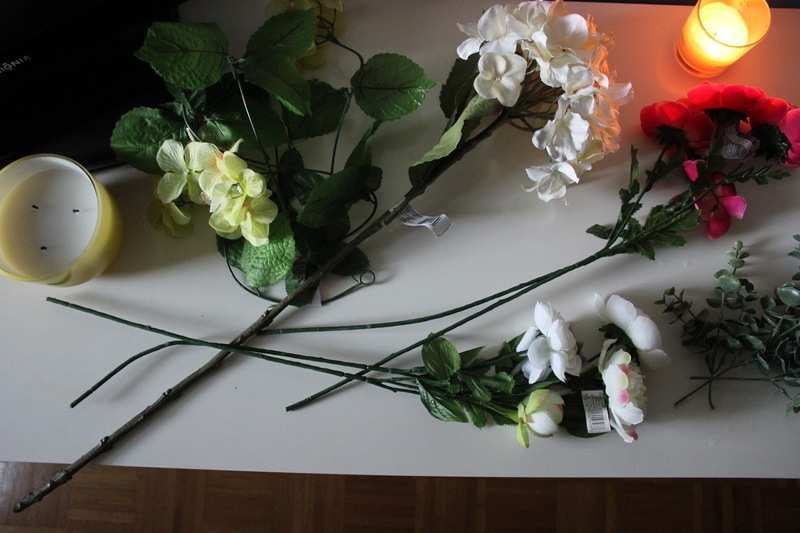 I was able to make the fake flowers look real by using specific kinds and being very picky of which ones I chose as well as which ones I paired/grouped together. 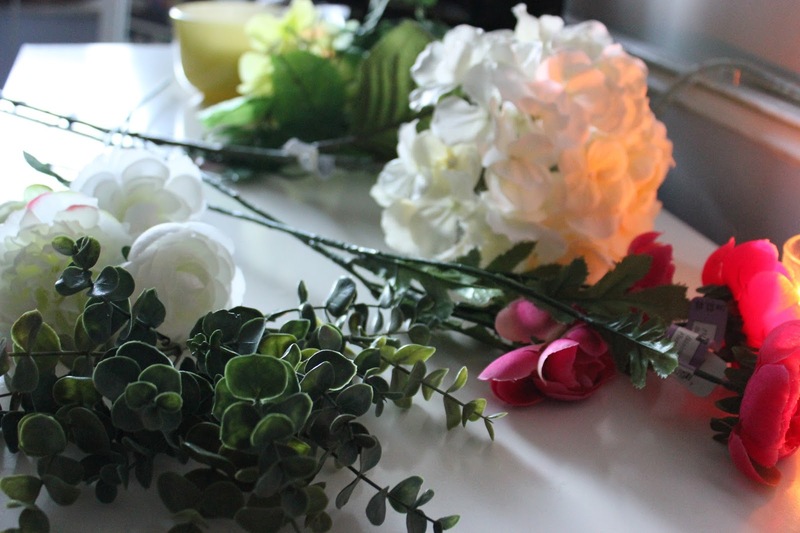 I used ranunculus, eucalyptus stems, a peony and a hydrangea stem. I ended up using less than I thought I would but it was better to have extras instead of running out. 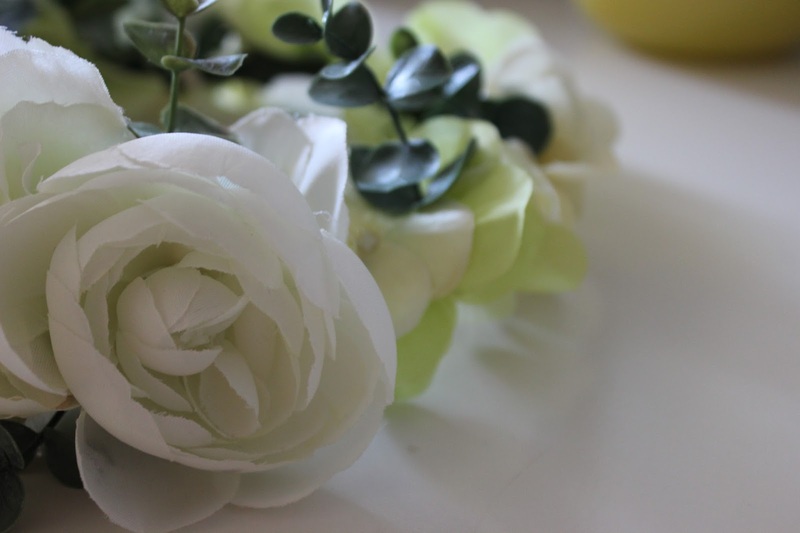 My floral crown base was made using the stems of some faux roses for my wedding flower wall. 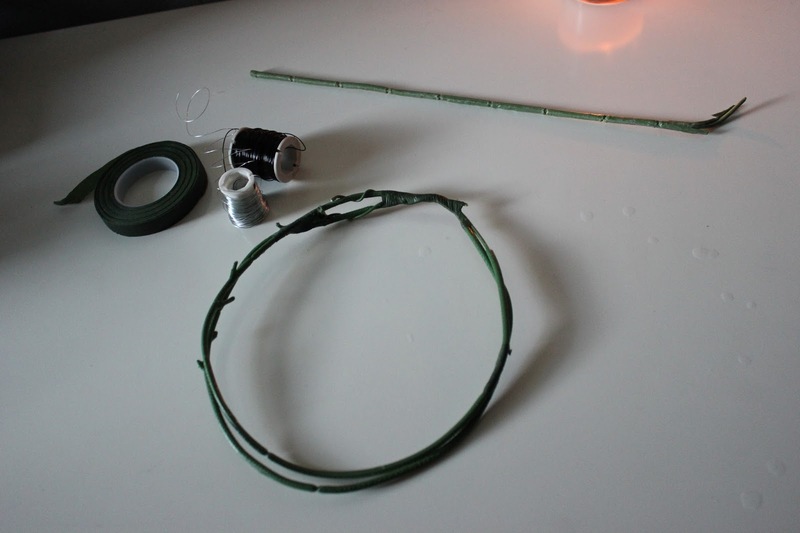 Since I had so many extra stems that were going to be tossed out, I made use of the wired, already-green stems. 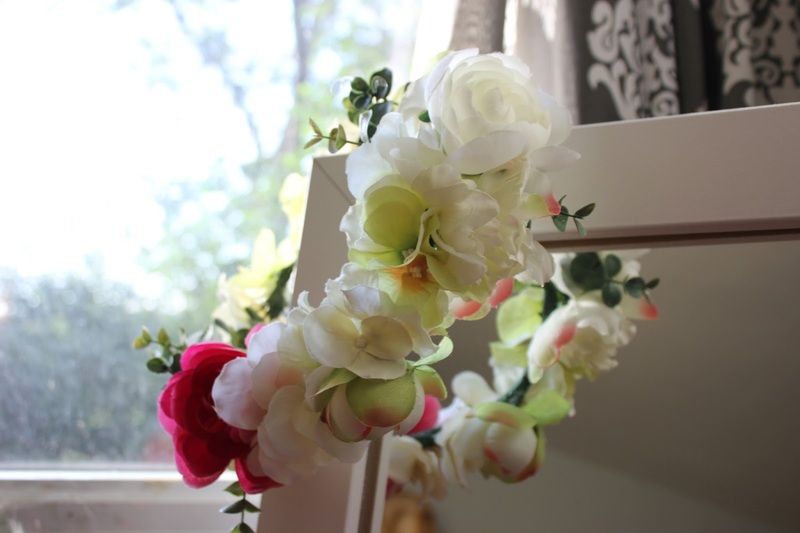 For this project I also used floral tape, a glue gun, scissors and kept some thin wire on hand in case I needed it. 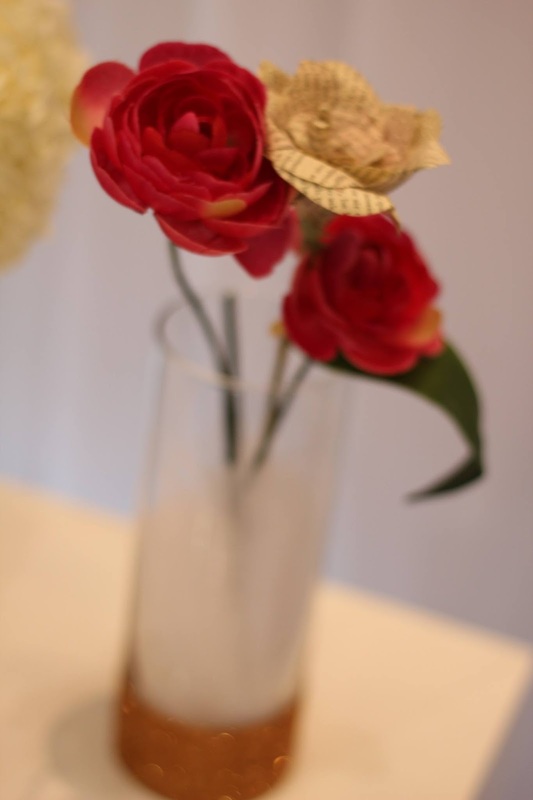 For the base, twist two stems together to ensure it is sturdy and can be extended in size if needed. 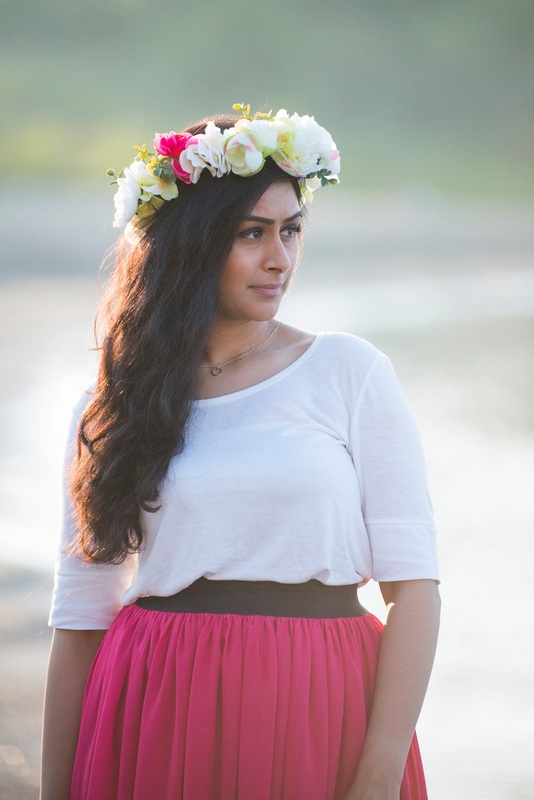 measure around your head and add an extra half inch of space. This will be needed as the base of the flowers and floral tape will add bulk round the base. When using floral tape, be sure to give it a bit of a stretch so it gets tacky. Floral tape sticks to it’s self so don’t worry if at first it does not seem sticky at all! 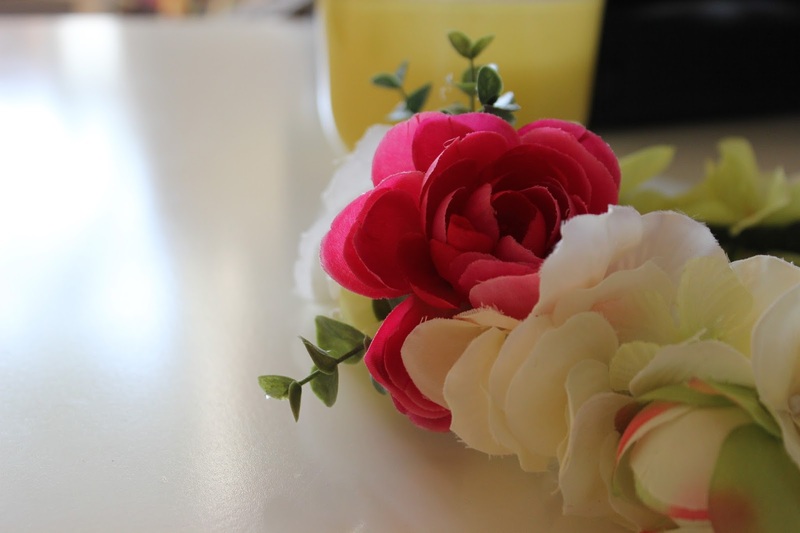 I started with the large pink flower and arranged how I thought I wanted my crown to look. Arrange the crown so that it tapers out at the back and the bulk is off to one side. 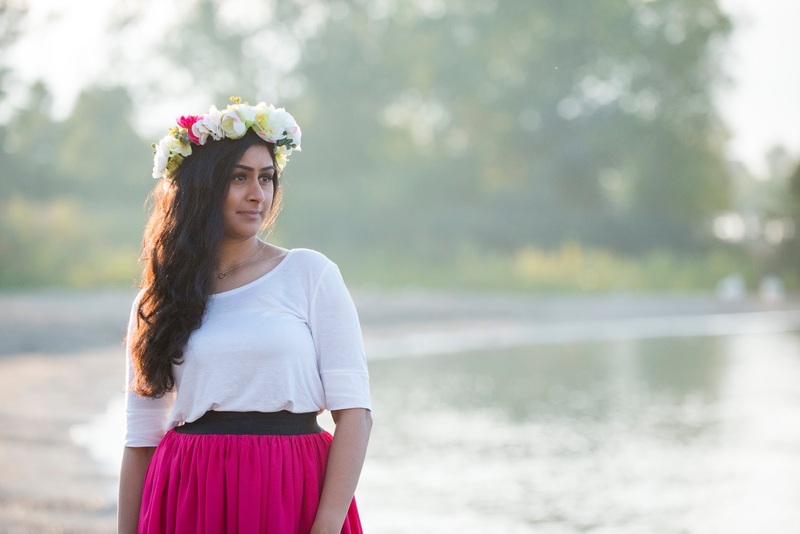 You don’t want your entire forehead to be blocked by bulky flowers. 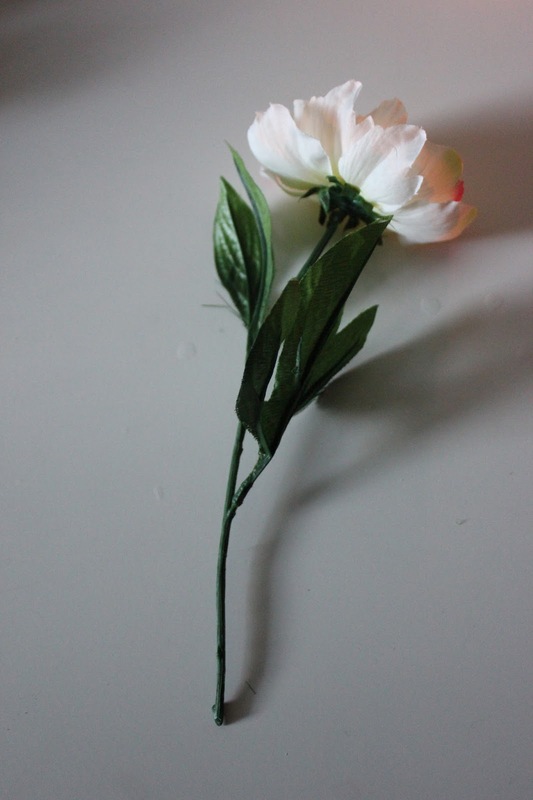 I kept the peony one side with other white ranunculus while on the side I added a single pink ranunculus. I thought I would have used more of the pink but it looked better on it’s own. I also used the hydrangea and smaller flowers to fill in small gaps as well as some yellow/green hydrangea bits from a Dollar store stem. 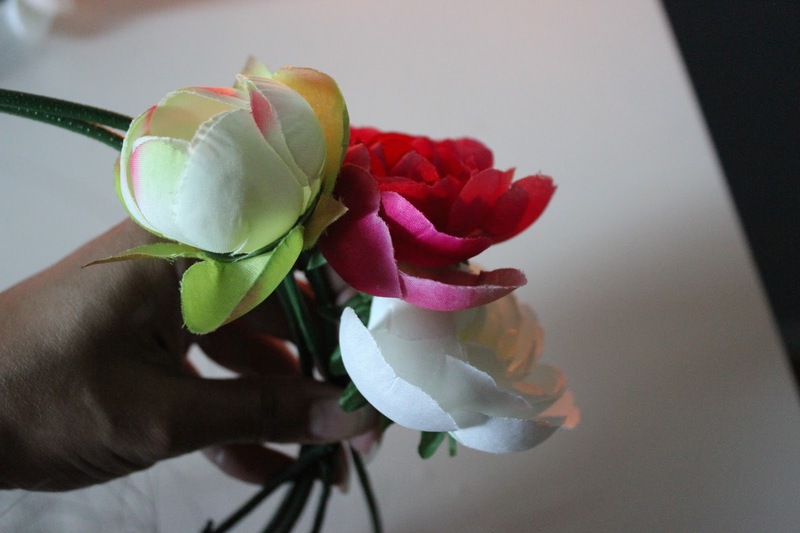 Start by removing the flowers from the stems and cutting them to have about an inch to a half inch stem that you can glue to the base. Add floral tape around to secure. Go around from the front to back on each side so that all the flowers are facing the front, gluing and taping along the way. At the end, use the smaller flowers to fill in spaces where you can still see the base. I also glued down some of the actual petals to the base if needed. Below, you can see photos with step-by-step directions. Do you plan on making one of these or want to try some DIY? I will be at the Nikah convention sharing some tips on the main stage around 3:00 p.m.! Get your tickets online or at the door. Photos of me taken by Belinda Burtt Photography.